When I was younger I liked StarTrek TNG a lot. So my first thought when I got my new iPod Touch was ‘This would fit Mr Data‘. It is a cool toy — the design is slick, and the user interface is amazing. It actually looks like made user interface displayed in movies, with windows zooming and sliding at the touch of a finger. And it has a position sensor — if you flip it sideways the display also flips. Impressive. iPod Touch with its big display can be a great tool for practicing your karaoke. The lyrics are clearly visible, and the playback is smooth. And with video output cable you may connect your iPod to the TV and play your karaoke there. The bad thing is that you need to purchase a cable from Apple, as the trick for using cheap A/V cable that used to work for iPod video does not work with Touch. iPod Touch uses MP4 format for videos. 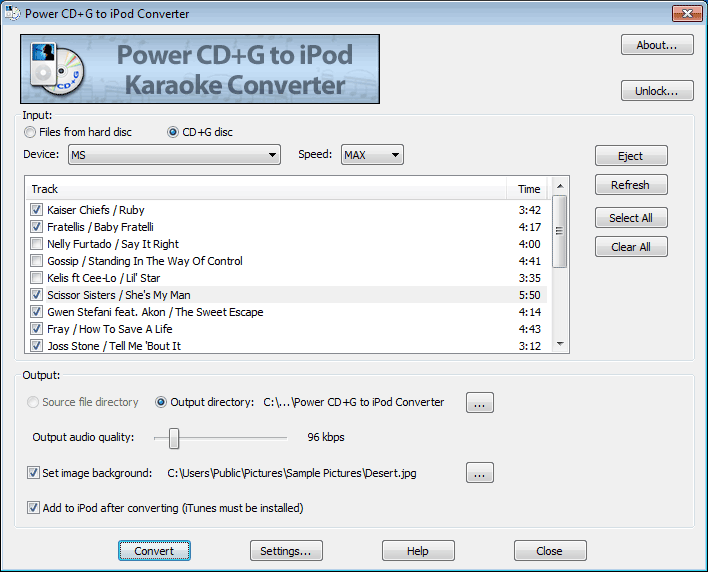 To load your karaoke there you can use Power CD+G to iPod Karaoke Converter (trial version available, lifetime license is $39). 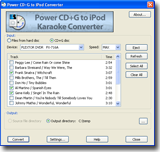 It reads CD+G discs directly, or you may use MP3+G files from your hard disc. 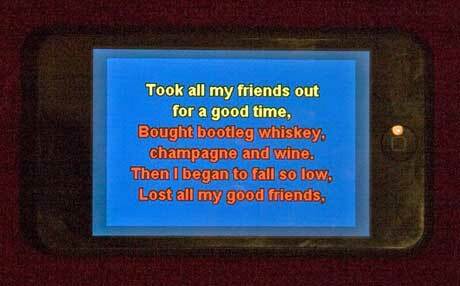 I will try to make this blog a source of useful information about karaoke and karaoke software, will show you some tricks and advanced features, and will add some personal views from time to time. As I am pretty new to blogging I will need some time to learn how to move around, but new posts should be appearing soon.